Just less than a month before her wedding, due to take place on Sunday 17th February, Jane had a panic, after she had downloaded a long range weather forecast of SNOW….. for her wedding day. 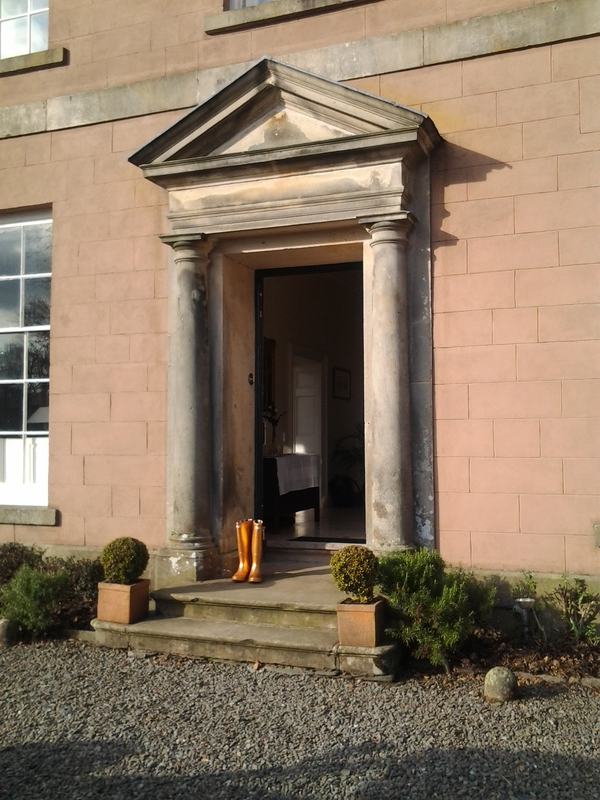 So, she bought some gold Hunter wellies, to wear on the day. This was a brilliant move, as, on the day of her wedding, the sun shone from a cloudless sky. No snow to be seen anywhere! From the comments from Jane and Tim, and their guests, all went wonderfully well. From Belmount’s point of view, it was the perfect wedding. Lots of happy, smiley people, very relaxed, just enjoying a wonderful weekend wedding with Jane and Tim, Orson and Innis, both enchanting children. Thank you, Jane and Tim, for choosing Belmount! Previous Previous post: Snow’s gone!